Every so often in blogland we see lots of posts around the best way to blog and the top tips of what to do and what not to do. In reality, there are very few real things to avoid. All we have to do is remember to keep the legal aspects of things in check, disclose where we need to show we’ve received products or payment and avoid libellous content. There’s a reason newspapers and the TV use the word allegedly a lot. Take a cue from them. Apart from that, it’s everyone for themselves. Yes, it would be lovely in a ideal world to never take any adverts or product placements, but if they’re slotted into a post that would have been written already, then what harm is it doing? There are some people who dislike blog adverts and that’s fine for them if they don’t want to read a blog. Yes, it’s a bit of an inconvenience to filter through some of the paid posts, but there are times when it is just too tempting to not take advantage of if money is short and an extra income is appreciated. I’ve read about a few bloggers with steam coming out of their ears and a new blogger haughtily told me recently that she doesn’t do it for money, but because she likes it. I got the distinct impression that she was very anti my blog because it carried some review and paid for content. That’s fine for her, but it’s not good to intimate that other bloggers are doing it wrong just because they aren’t doing it the same was as they are. Very new bloggers often also get really annoyed with those of us who’ve been going longer and get more offers. The offers come in because of the length of time other blogs have been on the go and can show consistency in content, fairness and how well they liaise with the clients. Those who blog just to get some freebies will find it hard to do that as it does take time to build up. The ones who fake their following stats on their blogs and stats are easily found out so it’s a pointless exercise in the long run. They may have started for the wrong reason, but they’ll mostly have to wait their time to prove themselves just like everyone else does. Blogging changes – a lot. When we start, we meet new people, who are very enthusiastic and create big comment circles. Some comment circles diminish as bloggers drop off, move on, or just stop commenting. It’s not wrong or selfish, or anything untoward, it’s just the changing world with young enthusiastic bloggers beginning to make their mark on the blogging world, and that’s how it should be. A couple of years ago, I decided I wouldn’t enter myself for the blog award circles. I’ve been nominated for some, but this is my blog, it’s my hobby and I enjoy it. The pressure of finding people to vote for me is just not something that I enjoy as a blogger, but it’s fine for those who do enjoy it. It’s all each to our own. I’m happy to vote for others who want to enter, and it’s nice to see them happy if they get an award, but perhaps I’m just not that competitive. Maybe it’s my age and having special needs kids that means I’m just happy to have a blog, have an audience who read and for some lovely brands and PR’s who send us some lovely things. 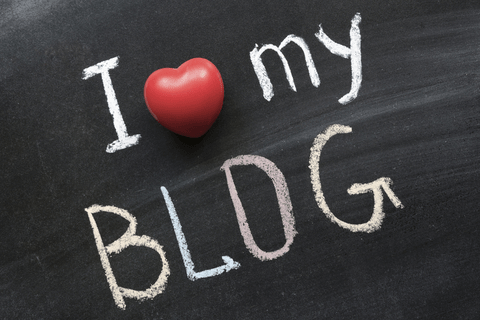 Love your blog and others too. Nobody knows what other people are going through and why they might need the extra money. Some bloggers will take sponsored content and other won’t. I love my blog and my blog pays for itself. That’s a fabulous hobby to have. Some of us have been going longer than others and there are some great blogs that provide fab tips for others. It’s sensible to use them as they save us all time and effort in finding things out for ourselves. I’m on holiday so I won’t be promoting this, but I did feel like I needed to splurge. Couldn’t have put it better myself! So so true! I like to call what you are talking about ‘Blogger envy’ of which almost all Bloggers are guilty of to some degree, myself included. For me envy is because I want to understand how to be that good at writing but for others their envy is because they want to have more followers and hence, to earn more money. I constantly hear ‘how has X,Y,Z got so many ‘hits’ and ‘followers’ etc etc?’. If you enjoy it that’s all that matters though. I personally don’t care if a post is written because an individual got paid or not. If it’s a good post, it’s a good post. I’m happy I have a blog that people seem to read, so it’s all good. Some months I have more readers than others, and that’s great too. Thanks for the comment, it’s much appreciated. Well said. Blogging is a personal thing, that’s the whole point of the medium. If people choose to accept or never accept sponsored posts or review products that’s fine by me – I enjoy reading reviews, tips, personal posts, adventures, looking at photos, all of it. It’s all good. And you’re right in that blogs evolve over time – while my mantra of “life is all about the journey” remains the same, the way I write about it now has changed since I first started blogging, and no doubt will change again over time. Mine too. I’ve decided for now that I’ll take less sponsorship as it was taking up too much time, and I just want a break from that. I find it hard to understand why some are so negative about blogs that take sponsorship. There’s room for us all in blogland I think.